Elizabeth Overstreet – Relationship Expert | The dating game has changed. Here are the New Rules. I'm a relationship coach and author and would love to help you navigate the world of relationships. 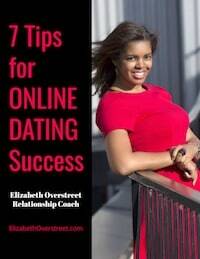 Start with my FREE Download, 7 Tips for Online Dating Success!